Dave Lieberman's Young & Hung--!!! These days you can't turn on Food Network without getting a little cleavage action, be it from Giada De Laurentiis, Anne Burrell, or Mario Batali. An although Giada seemed pretty comfortable displaying it on her original Food network show Everyday Italian, apparently an early-on wardrobe malfunction embarrassed her enough to stop wearing button-up shirts and switch to the more comfy tees you see above. "This was awhile ago, I think during the second season of 'Everyday Italian,' and we were trying to figure out the wardrobe for the show. I was wearing this pretty tight button-down shirt and I bent down -- in those days the oven was down low, below the stove -- to grab my roast out of the oven and all the buttons on my shirt just popped open. Everything opened up. I was so incredibly humiliated that I went running to the bathroom." Yikes! Better to just have it out there in the first place than deal with those pesky button-popping incidences! Well, I may have missed posting about last week's episode (I was still on the West coast, getting ready to get on a redeye flight back) but I'm baaaaack. So, to sum it up, the contestants first had to learn what it's like to work a red carpet... and what better way to do that than take them to an L.A. hotspot, hire fake paparazzi and fans to snap photos and yell their (cued or written on the paid actors' hands I'm sure) names, and have them do short interviews with a local L.A. television reporter who no one outside of Cali probably knows. Anyhow... Dzintra unleashed the crazy --although it's still take compared to Lisa Garza:-( --and Serena's foot got stepped on. Just a regular day in la la land. And someone went home. What did you think? Bob Tuschman Really Wants You to Like... Bob Tuschman! If you can't love (or Facebook 'like') yourself, how in the hell you gonna love somebody else? 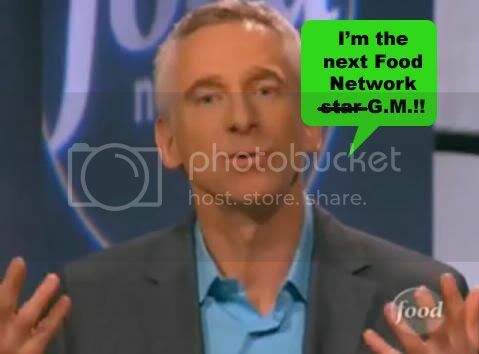 The Next Food Network Star judge and Food Network GM Bob Tuschman took that Rupual-ism to heart recently when he took to the social networking site to proclaim his love for his employer... and himself! Anyhow, what I think's going on is Bob "liked" his new Bob Tuschman "official brand page" on Facebook. On it he provides little tidbits of info and status updates about the show. He's actually been updating his page way more than I ever have the time to do. Go Bob! So go on and don't upset Bob. Like him on Facebook... he does. Any suggestions for while I'm there? Thanks! Season 6 is the first to take place primarily in Los Angeles. The Hollywood Hills home the contestants live in is gorgeous and looks like it provides a lot more space than the NYC carriage homes of previous seasons. Perhaps this cavernous home will showcase a NFNS first: some downtime love connections between contestants? 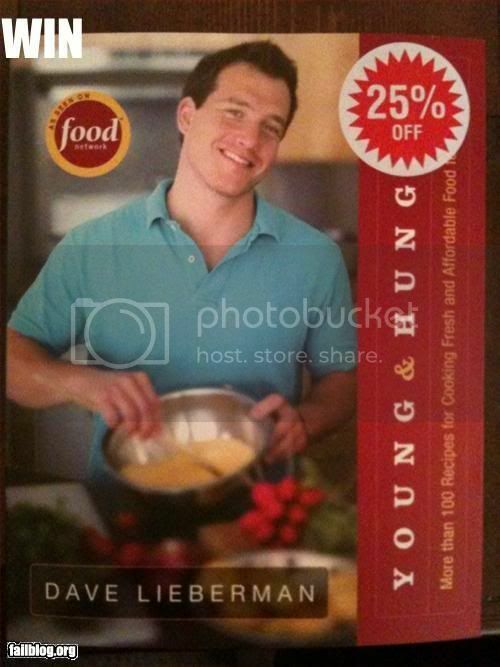 Between Bobby Flay and a contestant? Who knows. Since L.A. is a world away from the Chelsea Market desks of Bob Tuschman and Susie Fogelson, you'd think Tuschelson's role might be amped up this season, right? Well, even though they're stars in some minds, two Food Network execs can't compete with the star power of Giada De Laurentiis, who this year takes on a more permanent role as the contestant's mentor. Think of Giada as the Tim Gunn of The Next Food Network Star, minus the snappy catchphrases. 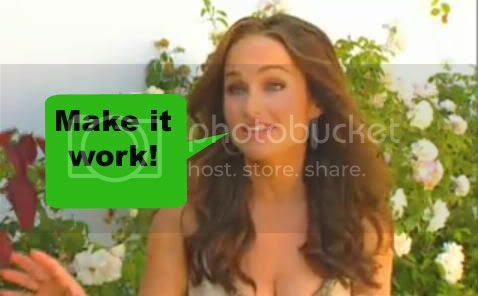 And even though Giada can't muster up nary a memorable phrase, the show itself has certainly imposed some upon us. Like the "STAR KITCHEN" that the contestants compete in, replacing the NYC Food Network kitchens that formerly served as a major setting and the "STAR CHALLENGE" that the contestants are tasked with (both of which are highlighted with a giant, floating graphic after they're announced. As for the contestants, you can read more about them on Food Network's site. They seem like a good mix of talented, clueless, different from the standard Food Network style, and obnoxious. The perfect reality show mix. In the first episode, one really stands out... and not necessarily in a good way. Dzintra. Sometimes a reality show contestant is so weird and so over the top that's it's almost unfathomable that they're 45 and have never been on a reality show before. Like, did they check out The Real World - New York back in 1992, think Eric Nies was kind of hot, and then decide that the genre wasn't for them? Have they been ignoring everything else that has happened w/ reality TV over the last 18 years, and missing out on all the audition opportunities? Quickly, it all makes sense. This was Dzintra's third time auditioning for the show (which means she could have been cast WITH Lisa Garza, which would have probably broke the TV) and she finally made it. Guess she's not too oblivious to what's going on. Dzintra, who introduces herself for the first time to her fellow contestants as "Dzintra, from the planet Zintron," has a bit of an eye problem in the first episode that leads to a harrowing decision to either leave the show and go to the emergency room or continue on, wounded eye and all. Fearing the wackiest character might leave the show during the FIRST episode, I sincerely hope Dzintra makes it back to the show... for both eye-health and entertainment reasons. Quickly-- The first ep has the contestants putting themselves on a plate, so to speak. They are given the blank canvas of chicken and a potato to make their masterpiece (luckily no one seemed to have a vegetarian/vegan cooking style and no crying ensued). 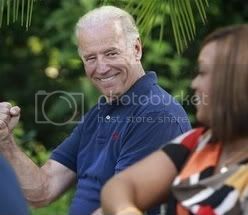 Then they have to present to camera, where the awkwardness always shines. Later--the contestants have to write and shoot a 15-second promo for their Food Network show, with director Andy Fickman helping direct. I'm not sure the director of Race to Witch Mountain and She's the Man is necessarily the best fit to direct a Food Network promo, but what do I know? Maybe that's the next type of show Food Net's looking for? I'm interested to see how L.A. changes the show and the challenges and how Giada's role develops. In previous years' appearances she's come off as harsh and somewhat contradictory to the contestants, so I'll be looking to see if her "mentoring" shows us a softer, more constructively criticizing Giada. But I won't be holding my prosciutto-laced breath. Tune-in to the two-hour premiere of The Next Food Network Star this Sunday, June 6 at 9pm ET. Bob Tuschman, Food Network's former Senior Vice President of Programming and Production, has been promoted to "g.m." of the network. In addition to what I'd guess is a hefty salary bump, Variety says that Tusch will continue to perform his regular duties and "[develop] an overall strategic direction of the network." Congrats to Bob. 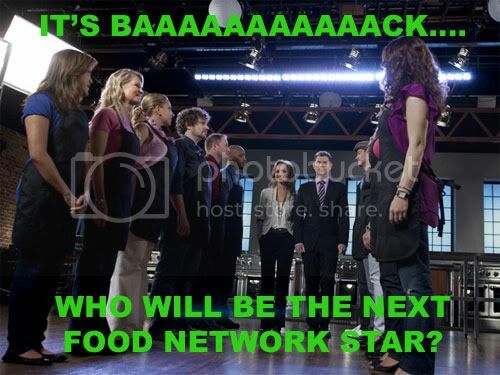 Look for him when The Next Food Network Star returns this Sunday, June 6 at 9pm ET. 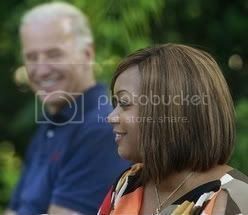 Sunny Anderson is here in D.C. today attending and cooking for a pre-Memorial Day barbecue hosted by big f-ing deal himself Vice President Joe Biden and his wife Jill. In attendance at the Vice President's Naval Observatory residence are wounded service members from Walter Reed Army Medical Center outpatients and their families. Sunny, an Air Force vet, comes from a big military family--her grandfather, dad, brother, and uncles all served or are currently serving in one form or another. "It really is a huge honor for me," Sunny told me when I spoke to her yesterday. The event will be featured, including Sunny's cookout menu, in an upcoming issue of Food Network Magazine. Congrats Sunny! I hope you have fun here in our Nation's Capital! 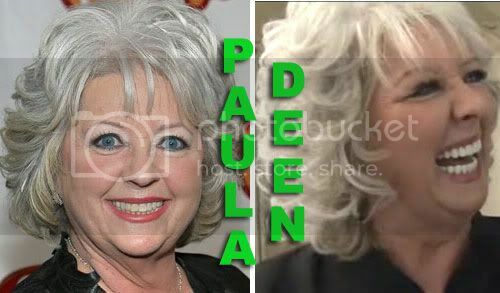 Paula Deen Partners w/ Savannah Public Schools, World responds, "Are you crazy?" In what I'm sure elicited a collective "huh?" and a downpour of tears from Jamie Oliver, the public school system in Savannah, Georgia has partnered with Paula Deen to create a new culinary arts school. Say bye-bye to you chicken nuggets, kiddies... they don't have enough butter in 'em! "Officials say the school's curriculum will be based on state standards and the recommendations of Paula Deen, the television celebrity chef whose cookbook doctors named the most artery-clogging of the past decade." Deen set the record straight with a beautifully worded statement: "There's a dillusion [sic] out there. What people see me having fun with on my show is totally separated from actuality." I'll believe it when I see it, Miss D! For all you parents out there, how happy would you be to hear Paula was your kids' new lunch lady?! Yikes! 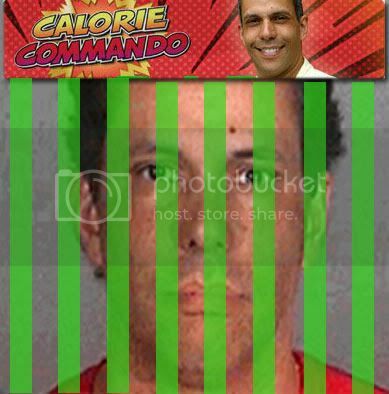 Juan Carlos Cruz, the host of the former Food Network show Calorie Commando (don't think it even makes it into reruns anymore... and will definitely pulled now), was arrested on Thursday in Santa Monica, California for soliciting homeless people to commit murder! "On Friday May 7th, police officers were contacted by homeless individuals who said the suspect solicited them to commit murder. The homeless people agreed to help officers in an investigation, in which Cruz revealed to officers the murder-for-hire method, where and when the individual was to be killed, and the terms of payment." Cruz is currently being held on $5 million bail. UPDATE: TMZ is reporting Cruz was attempting to get his wife killed. They have video posted of the homeless people Cruz allegedly solicited. Conjuring up now-fading memories of Sarah Palin's notorious CBS interview with Katie Couric in which she replied "all of them" to the question what newspapers or magazines do you regularly read, Bobby Flay, who was in DC last week to attend the White House Correspondents' Association Dinner, told People magazine that he wants to go to college and go "back to Georgetown," adding that "it's a really cool place." When asked what he wanted to study, the Flayster (a high school dropout) reportedly said "anything." "I didn't go to college. I'm ready to start over," said Flay. Not like Bobby, who has a million shows on Food Network and another planned for Scripps' new Cooking Channel, would have any time to devote to studies. I'd stick with cooking! Sorry for the longest break I've ever taken from blogging since I started back in TWO-THOUSAND-AND-SIX. That's like a thousand years in blog. I'm sorry. I don't really have any specific reason for it other than I've been busy still getting used to my new digs in D.C.... and I honestly haven't really felt like it. I've been blogging for so long and, not to sound cliche, but you really have to be in a certain place in your life to blog with any kind of regularity. Right now, I'm not really in that space. I have other "real" jobs that take up a lot of my time and I don't always delegate as much time to Food Network watching and reviewing as I used to. Not saying that I won't again in the future... but, for now, I'm enjoying just writing about what comes along that interests me. That's not to say I'm not still paying attention. I'm still reading and enjoying all your comments and emails. If you have suggestions, please send em my way (comments or foodnetworkaddict (at) gmail (dot) com. Thanks and kisses for all the years of reading! I'm still here!